Good evening! Tonight (of course the day after the Super Lunar Eclipse) I bring you a sweet little ensemble from My Attic at the Deck, beautiful Stephanie 2 hair from . 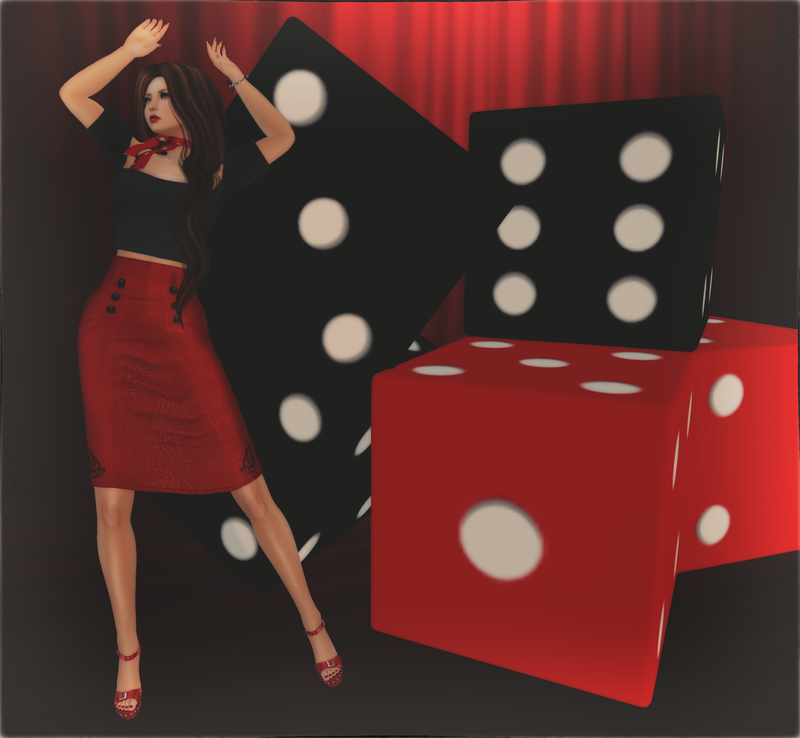 :EMO-tions:., and fabulous new Camille Gingham Lingerie from Lacuna, oh and pretty new Town & Country Thigh High Socks from Luxuria. This round is simply fabulous, everything for 95L but hurry time is running out so run over before the end of the month! I am really digging this amazing LeLutka Head, I only have the one so I may have to get more than that yes? The Glam Affair Rachel Skin/Applier for LeLutka Heads is over at Kustom 9 and pretty as punch. then hop over to Uber for the stunning Annona Chair w/included poses and Wither Bucket from Junk! Ok I’m off for the evening, have a wonderful day and Keep Calm & Shop On! Today I bring you more goodness from My Attic at the Deck. I am wearing the most impossibly adorable outfit from Mimikri, the silk blouse and shorts combo are sold separately and in wonderful colors and are a must have, there is also a very pretty vest to go along with the duo(not shown) but alas I had already picked my Tomoe Hat/Hair Combo from Argrace 🙂 I am hanging out on the newest from W.Winx & Flair, The Town & Country Wharf has a wopping 15 poses included. I’ve added a few of my favorite lanterns and such and relaxed in the sunset, this is an amazing price at just 95L I love My Attic at the Deck, I get so excited when a round is near……..but hurry you only have until Wednesday the 30th to shop at these amazing prices!